Valued for its fragrance, Klorane botanists discovered another secret of Ylang-Ylang: the impermeable essential wax which protects the delicate petals from the harsh sun. A byproduct of the production of the essential oil, this essential wax helps you protect your hair over summer and provides more income to the local community. 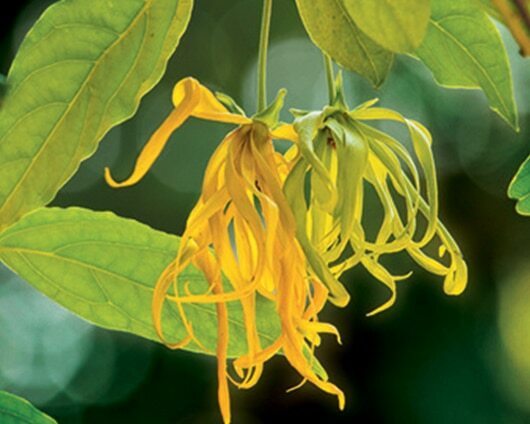 Producing Ylang-Ylang essential oil comes at a cost to the environment. The flowers are distilled in homemade burners that consume an enormous amount of wood. One ton of wood is currently needed to produce just 3 kilos of Ylang-Ylang essential oil, leaving the Comoros with the 4th highest rate of deforestation in the world. If nothing is done, the forest itself plus the incredible biodiversity within this ecosystem will be gone in 15 years or so. 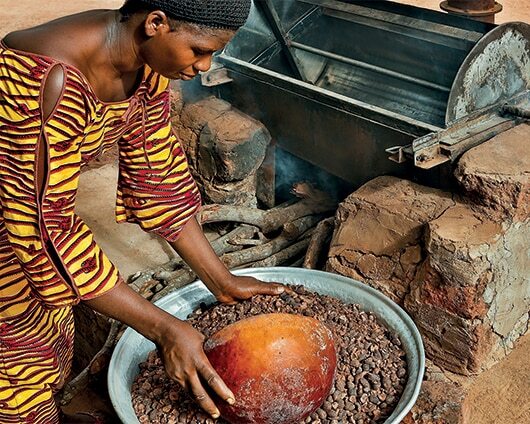 Working locally with Initiative Développement, Klorane Botanical Foundation took action, deploying more economical home distillation units, saving the equivalent of 210 tons of wood in 3 years. The Foundation believes knowledge is only of value when it is shared! Field studies have been undertaken to understand the role played by Ylang-Ylang in the local agricultural system- improving the practices of farmers and developing a more sustainable way to manage the forest. A traveling exhibition, learning workshops and the distribution of educational leaflets have helped educate 2000 children on sustainability in the Comoros. When future generations are made aware of the extraordinary biodiversity in their own community, there is a greater chance of preserving it. Introducing our new Keratin Strength fortifying spray! 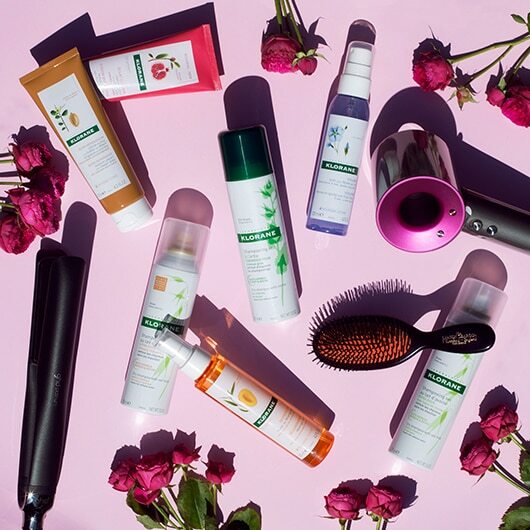 Inspired by the latest methods in micro-nutrition, Klorane Laboratories have created Keratin Strength fortifying spray based on: Plant-based keratin*, quinine, caffeine + vitamins B3, B5, B6, B8. A scientific high-precision approach to target deficiencies by providing essential nutrients to the core of the hair fibre to revitalize the scalp and help repair the hair. Leaves hair soft and shiny. Non-greasy, non-sticky. Meet Marcia Leone… mother to Archie (6) and Poppy (8 months). Marcia is the founder of “Not So Mumsy”, an inspirational website dedicated to the modern mama, where she shares honest words about her motherhood journey- the good, the bad and the behind the scenes. A long-time fan of Klorane Dry Shampoo, Marcia jumped at the opportunity to trial Klorane's Quinine & B Vitamins range, which is specifically created to re-invigorate thinning and lifeless hair that may be caused by reactional hair loss. Just over 8 weeks ago, Marcia started using Klorane's shampoo and conditioner with Quinine & B Vitamins followed by the new Quinine Keratin Strength fortifying spray and really started to notice the difference in her hair. The Keratin Strength Fortifying Spray is full of plant-based keratin*, B vitamins, quinine and caffeine- a powerful combination proven to revitalise thinning, lifeless hair. Marcia used the Keratin Strength Fortifying Spray 2-3 times a week on damp hair using the special Klorane massage technique which reinvigorates the scalp without damaging the hair. For your chance to try it for yourself, visit win.kloranecompetition.com.au! Follow Bec Judd's Klorane journey through a day of effortless style with Klorane Dry Shampoo! In Sub-Sahelian Africa, the Desert date is distinguished by its amazing ability to optimise the low nutrition it receives from its environment, building nutritional reserves and remaining healthy for months in the total absence of water. Staying perfectly nourished and hydrated, it produces extraordinarily rich fruit. From this unique model of resistance to the most extreme conditions of drought, Klorane Laboratories have extracted the very best of its proteins and fatty acids, to give silkiness and strength to even the most damaged hair. When we created our range with Desert date, we sought to rise to the challenges of sustainable development. Featuring biodegradable formulas, lightweight recyclable packaging, a fair-trade plant supply chain, this ecologically responsible range also complements the ambitious Great Green Wall. 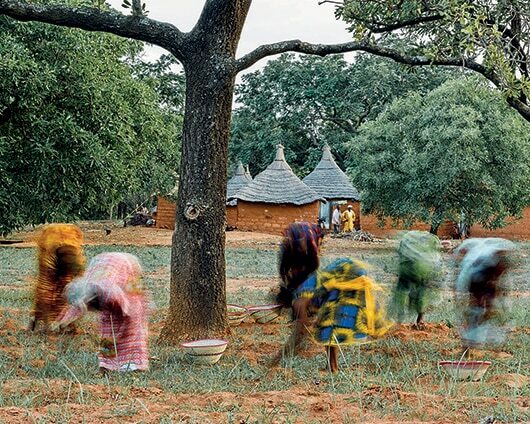 In 20 years, half of the trees growing in some parts of the Sahel zone have disappeared. The lack of rainfall after serious droughts plus human impact have wreaked havoc on the ecological balance of the area and the lives of the local population. To fight this desertification, we have planted more than 10 000 desert date trees annually as part of the Great Green Wall project. This multi-species plant belt is over 7,000 km long and 15 km wide, crossing 11 African countries from Dakar to Djibouti. The involvement of the local population ensures the success of the Great Green Wall programme. Men monitor the protected areas and young trees. In return, they can harvest the first products yielded by the land: fodder, fruit, vegetables, gum Arabic. Several allotments have been set aside for women to use, in exchange for the nurturing of tree nurseries. 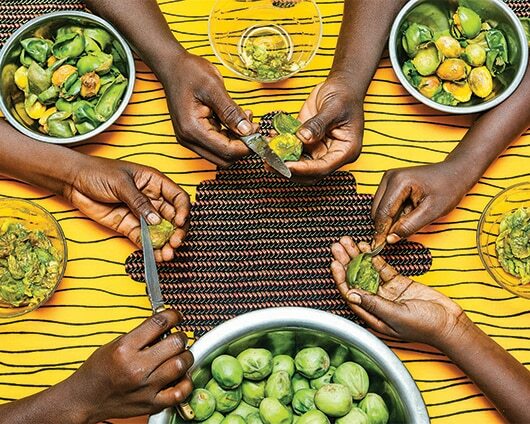 As well as diversifying the inhabitants' diet, fruit and vegetables are sold on local markets, which provides them with a source of income. Discover our new soothing ritual with Chinese Peony and a fragrance that is scientifically proven* to relax ensuring long-lasting, soothing comfort for your irritated scalp. Social squad, workout squad or style squad... whichever you are, join the #KloraneGlamSquad! Visit www.kloranecompetition.com.au to go into the draw to win 1 of 3 "squad essentials"- a prepaid Visa card, Fitness First membership and David Jones gift card worth up to $450!